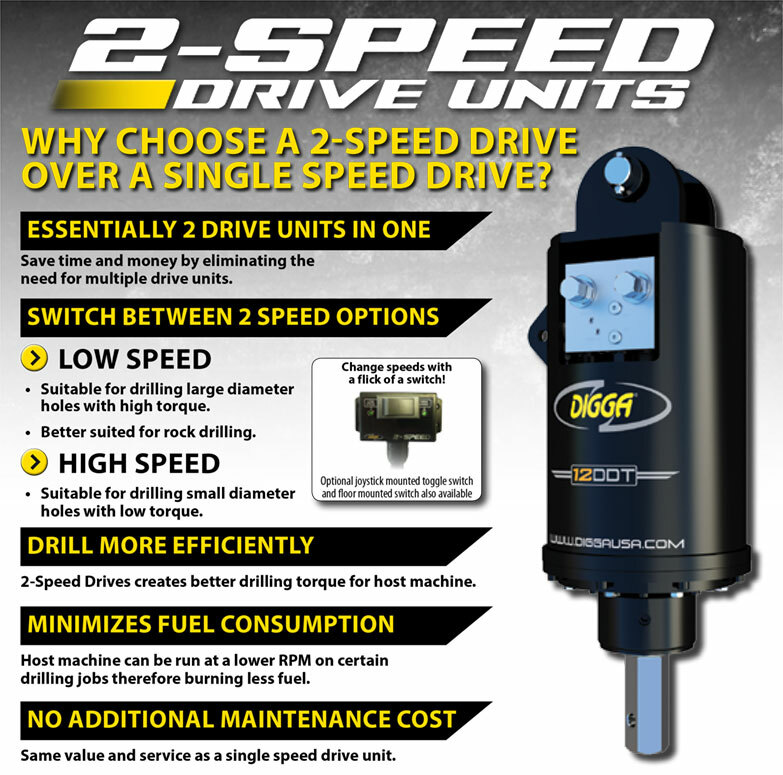 Digga's 2 Speed Auger Drives are designed to suit excavators & skid steer loaders, truck cranes, front end loaders, wheeled loaders and backhoes with flows between 10 to 36 gpm. We distribute our 2 Speed Drilling Drives throughout North America. (clay / shale)* 24" 30" 30"
Max drilling diameter (earth)* 40" 40" 48"
Overall length (in) 34.4" 34.4" 34.4"
Diameter (in) 14.4" 14.4" 14.4"